Jennifer Kent is an Australian actress, writer and director, best known for her directorial debut, the horror film The Babadook (2014). Her second film, The Nightingale (2018), premiered at the 75th Venice International Film Festival. Kent was born in Brisbane, Queensland, Australia. She says that she put on her first play when she was seven and also wrote stories. In her late teens, she chose acting as she "wasn’t really aware at that stage that women could direct films". She graduated in 1991 from the National Institute of Dramatic Art (NIDA) for performing arts. In a promotional interview for Kent's 2014 film, The Babadook, lead actress Essie Davis explained that Kent was in the year above her at NIDA and was "[an] eerily phenomenal actress ... the girl that was obviously the best girl at the whole school." After losing interest in acting, Kent was inspired after seeing Dancer in the Dark to pursue a career as a filmmaker. She wrote to director Lars von Trier, asking to study under him and explaining that she found the idea of film school repellent. In 2002 von Trier allowed her to assist him as part of a directing attachment on the set of his film Dogville starring Nicole Kidman. In 2006 Kent directed an episode of Two Twisted, an Australian series following in the tradition of The Twilight Zone. 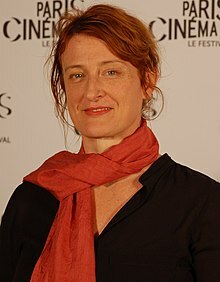 In 2005 Kent directed her short film Monster, which was screened at over 50 festivals around the world. In 2014 she adapted her short into a feature-length film The Babadook starring Essie Davis whom Kent had known through drama school. The film tells the story of a single mother played by Davis who must confront a sinister presence in her home while dealing with the death of her husband. The Babadook premiered at the 2014 Sundance Film Festival in the prestigious Midnight section. The film was quickly picked up for distribution in the U.S. by IFC Films. Kent did five drafts of the feature script, received most of her funding from the Australian government, then conducted a Kickstarter campaign to help raise US$30,000 to pay for set construction. The Babadook received widespread critical acclaim, with The Exorcist director William Friedkin tweeting that he’d never seen a more terrifying film, and doubled its budget with $4.9 million in worldwide box office. The Babadook script won the Betty Roland Prize for Scriptwriting at the 2015 New South Wales Premier's Literary Awards. Kent has been vocal in the press about the lack of female directors in horror cinema. "It will shift, as the world shifts. Women do love watching scary films. It’s been proven, and they’ve done all the tests. The demographics are half men, half women. And we know fear. It’s not like we can’t explore the subject." Kent's first feature-length film The Babadook (2014) was a success at the Sundance Film Festival. The Babadook brings up everyday issues that many women face, like the journey of motherhood, and raising a child as a widow. Kent said "Now, it’s not just female filmmakers making romantic comedies, but there are female filmmakers across the board. It’s no longer a realm for women that’s impossible." The Babadook has more of an emphasis on narrative than many horror films as it is about the relationship with the monster and the family and how they, in the end, learn to live with not only their "inner demons" but the Babadook himself. Kent uses different approaches to this genre compared to classic horror film directors. It is made clear in many scenes of The Babadook, shown through the sets of the film. As the film progresses the Victorian style house which is the main set in the film, mimics the mother's mental state. As the mother's mind slowly turns erratic, the home follows in stride. Ladczuk states that there were five aspects to this film, all shown with different camera movements. The film is split into five different emotions; anxiety, fear, terror, possession and courage. by shooting with a 32mm lens they were able to capture the mother's feelings and later changed to a 14mm lens. They also used a steadicam and static camera to help develop the film's layers. Fast and slow motion effects were also added throughout the film, as well as stop motion, and they even mounted a camera vertically on the wall to help with certain shots. A lot of the shots were done in camera because Kent felt that it made the film scarier and more realistic than adding stuff in with CGI later. Kent was recently asked if Amelia wrote the Babadook to which she replied "It was intended but never said right out. When it turns out that The Babadook is really Amelia, or that Amelia has become possessed by him, it also seems plausible that Amelia is his creator as well as his puppet." Blogger Lynn Cinnamon points out that Amelia used to write children’s books, so it makes sense that she used her book-making skills to create the mysterious, haunted object that infiltrates their life. If that’s the case, the second book depicting herself as the monster was also made by her, possibly in an insomniac trance. The Babadook is narrated from the mother's perspective. The struggle of motherhood is a major component of the story in this film[according to whom?]. According to Clarke, many scenes in the film are relatable because they show everyday struggles for mothers. Clarke argues that Kent touches on not only parenting, but dealing with gossipy friends and sexuality, shown in a scene where the mother is masturbating. These everyday themes are interspersed with moments of terror and suspense; techniques of classic horror. The film ends with the female lead taming the beast by defending her child, and keeping it in the basement, furthering the theme of motherhood in this horror film. She takes on a role of a mother to the monster, shown when she collects worms with her son and brings it to the basement to feed him. Kent's ending is very unorthodox for the horror film genre. In June 2015, it is reported that non-fiction book Alice + Freda Forever is being adapted into a film which Kent will write and direct. The book tells the real-life story of Alice Mitchell and her lover Freda Ward whom she killed in 1892. The film's producer Sarah Schechter stated that she is "thrilled Kent shares the same passion for telling this powerful, intense and unfortunately still timely story"
Two Twisted Yes No No Episode: "Love Crimes"
^ a b c Gibbs, Ed. "The Babadook: 'I was screaming all day'". The Guardian. Retrieved 7 April 2015. ^ a b Lui, John. "Director Jennifer Kent's debut feature The Babadook is a horror movie without gore or cheap screams". Straights Times. Retrieved 7 April 2015. ^ "FrightFest 2014 - Essie Davis Discusses The Babadook" (Video upload). London FrightFest on YouTube. Google. 1 September 2014. Retrieved 6 February 2015. ^ a b c "Jennifer Kent". EICAR International. Archived from the original on 14 April 2015. Retrieved 7 April 2015. ^ Paul MacInnes (18 October 2014). "The Babadook: 'I wanted to talk about the need to face darkness in ourselves'". The Guardian. Retrieved 21 November 2014. ^ a b c "The Babadook - Official Site". Archived from the original on 4 April 2015. Retrieved 7 April 2015. ^ Lambie, Ryan. "Jennifer Kent interview: directing The Babadook". Retrieved 24 December 2014. ^ Caceda, Eden. "Two Aussie Features Selected for Sundance". Filmink. Archived from the original on 27 June 2015. Retrieved 22 April 2015. ^ "Parental descent: Jennifer Kent's The Babadook is a spooky tale of a mother in crisis". Film Journal International. Retrieved 7 April 2015. ^ Child, Ben. "The Babadook is the scariest film I've ever seen, says Exorcist director". The Guardian. Retrieved 7 April 2015. ^ "The Babadook". Box Office Mojo. Retrieved 7 April 2015. ^ "New South Wales Premier's Literary Awards" (PDF). SL Magazine. 8 (4): 36. ^ a b O'Sullivan, Michael. "'Babadook' director Jennifer Kent talks about women making horror movies". Washington Post. Retrieved 7 April 2015. ^ Adams, Sam. "Boogeyman Nights: The Story Behind This Year's Horror Hit 'The Babadook'". Rolling Stone. Retrieved 7 April 2015. ^ a b c Kidd, Briony (2014). UMBILICAL FEARS: Jennifer Kent's the Babadook. Metro: Media & Educations Magazine. ^ a b c d e f g Bankston, D (2014). Pop-up Horror. American Cinematographer - the International Journal of Film and Digital Production Techniques. ^ a b Clarke, R (2014). The Babadook. Sight and Sound. ^ Alter, Ethan (2014). Parental Descent. Film Journal International. ^ a b Madison, Charles. "Jennifer Kent on creating The Babadook". Film Divider. Retrieved 7 April 2015. ^ Fleming Jr, Mike (4 June 2015). "'The Babadook's Jennifer Kent To Direct Lesbian Romance-Murder-Tragedy 'Alice + Freda' For SKE". Deadline Hollywood. Retrieved 5 June 2015. ^ Thompson, Anne. "Jennifer Kent to Direct True Lesbian Murder Tale 'Alice + Freda'". Thompson on Hollywood. Retrieved 5 March 2016.